The Sages instituted the holiday of Ĥanuka in order to thank and praise God for delivering Israel. For this purpose, they formulated the Al Ha-nisim prayer, which we insert in the berakha of thanksgiving in the Amida. We also recite it in Birkat Ha-mazon, in second berakha (Nodeh Lekha). We do not, however, mention Ĥanuka in the berakha of Me-ein Shalosh (recited after eating grain products or the special fruits of Eretz Yisrael, or after drinking wine or grape juice). If one forgot to recite Al Ha-nisim in the Amida or in Birkat Ha-mazon, he does not need to repeat it. If one remembers before concluding the berakha in which Al Ha-nisim is inserted, he should go back and recite it, unless he has already said God’s name at the conclusion of the berakha (sa 682:1). In such a case, though, it is proper to recite Al Ha-nisim at the end of the Amida, after all the berakhot, because one may add as many supplications and expressions of thanks as one desires at that point. Similarly, one who forgot to recite Al Ha-nisim in Birkat Ha-mazon should recite it after concluding the berakhot, together with the Ha-Raĥaman paragraphs, where one may recite as many additional prayers as he desires (Rema 682:1, mb ad loc. 4). It is a mitzva to recite the full Hallel, with a berakha, on all eight days of Ĥanuka (Arakhin 10a). The halakha states that whenever the Jewish people are in dire straits, such as when they are enslaved or under the threat of death, they must recite Hallel when they are delivered (Pesaĥim 117a, Megilat Ta’anit 9:2). The mitzva to recite the full Hallel, with a berakha, on all eight days of Ĥanuka attests to Ĥanuka’s prominence. After all, we recite the full Hallel on Pesaĥ only on the first day of the festival, while we recite it every day of Ĥanuka. 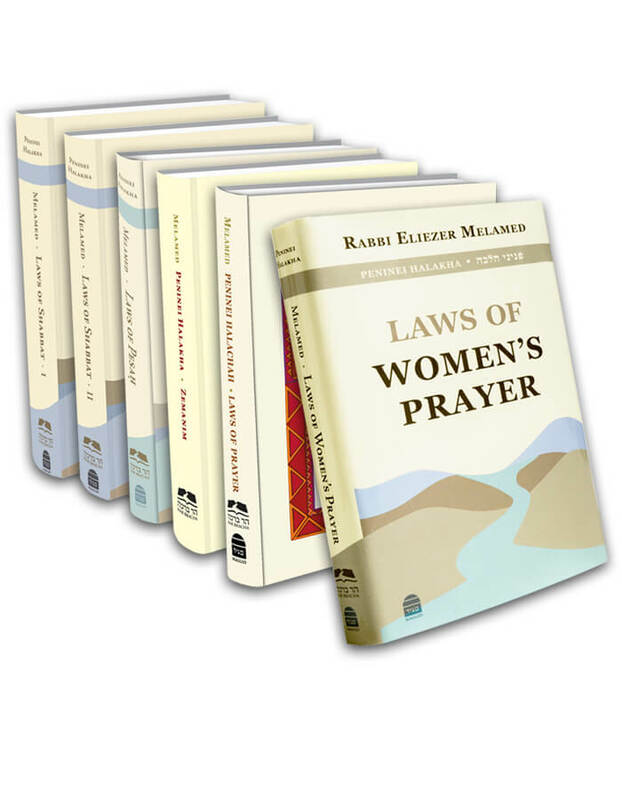 Women are exempt from reciting Hallel, since it is a time-bound mitzva. Nonetheless, a woman who wants to recite Hallel on Ĥanuka on her own volition fulfills a mitzva in doing so. According to Ashkenazic custom, as well as the custom of some Sephardim, she should even recite a berakha, while according to many Sephardic poskim she should not recite a berakha (see Peninei Halakha: Laws of Women’s Prayer ch. 2 n. 10). The Sages also instituted a special Torah reading for Ĥanuka, which describes the offerings that the nesi’im brought to inaugurate the Mishkan. Each day we read about one nasi’s offerings, and on the eighth day we begin with the eighth nasi and read all the way through the section dealing with the Menora, at the beginning of Parashat Be-ha’alotekha (Megilla 30b, sa 684:1).
. Rabbeinu Tam maintains that if one did not yet step back at the end of the Amida, he returns to the berakha of Modim in order to recite Al Ha-nisim. The halakha, however, does not follow this opinion. Rather, once one says God’s name at the conclusion of the berakha, he no longer goes back to repeat the berakha; he should not even conclude the berakha with the words lamdeini ĥukekha (mb 294:7). Regarding Birkat Ha-mazon, the Gemara (Shabbat 24a) implies that reciting Al Ha-nisim is merely a custom, not an obligation. Rashba and Ritva agree. Rambam, on the other hand, seems to maintain that one must recite it, and Or Zaru’a states that the masses have accepted it as an obligation. Raavya maintains that one must eat meals with bread on Ĥanuka and therefore one must repeat Birkat Ha-mazon upon forgetting Al Ha-nisim. However, according to the halakha, if one did not recite Al Ha-nisim, he should not go back to recite it.
. We recite Hallel on two different types of occasions: on festivals and in commemoration of miraculous salvation. The Gemara (Arakhin 10b) explains that, we recite the full Hallel all seven days of Sukkot because each day has distinct sacrificial offerings. On Pesaĥ, however, the same offerings are brought every day. The reason we recite Hallel on Ĥanuka is to commemorate the miraculous salvation, and we recite the full Hallel all eight days because the miracle increased in greatness every day. This is also why we light an additional candle every night (Shibolei Ha-leket §174, Beit Yosef §483). It is clear that the primary basis for reciting Hallel on Ĥanuka is the military victory, as the Gemara states in Arakhin and Pesaĥim, and as Rabbeinu Gershom posits. Nevertheless, it was the accompanying miracle of the oil that revealed the greatness of the victory. See above, 4:6, regarding whether reciting Hallel is mandated by Torah law or rabbinically.